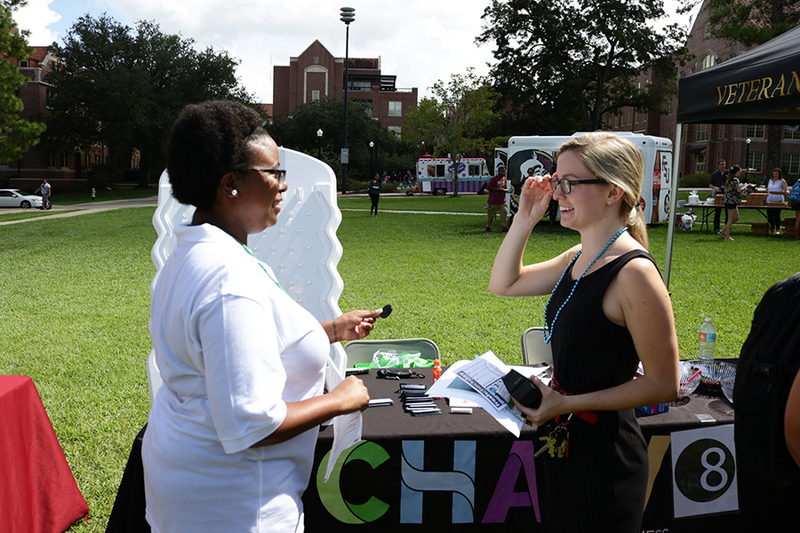 Florida State University hosted Fresh Check Day Friday, Sept. 28, on Landis Green, to raise awareness on mental health and suicide prevention. 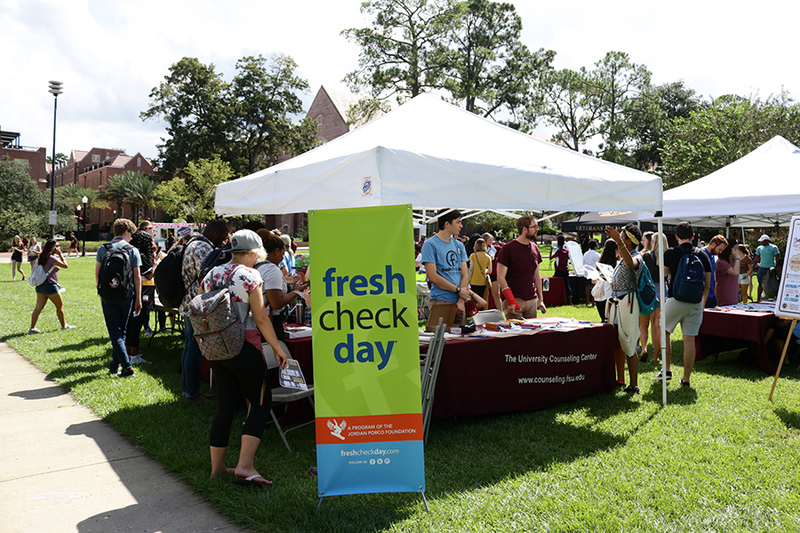 Florida State University hosted its second annual Fresh Check Day to promote mental health, alert students to campus resources and lessen the stigma associated with mental illness. 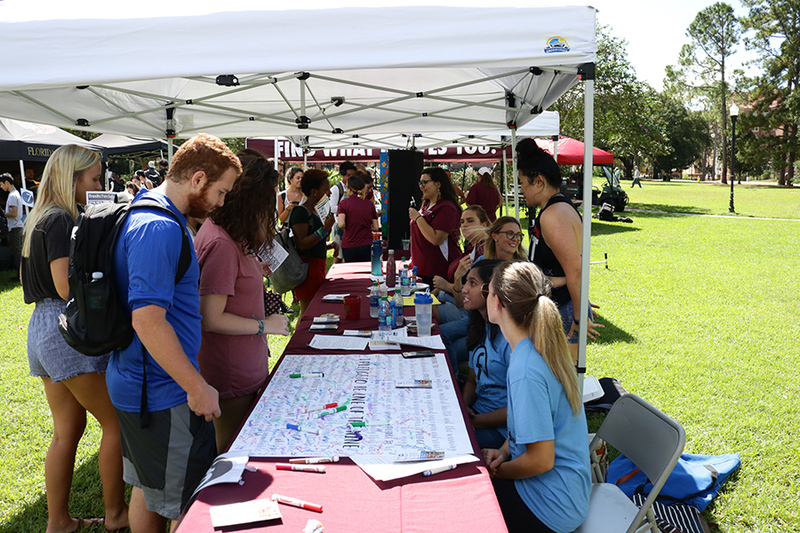 Students, faculty and staff gathered on Landis Green to learn how FSU addresses mental wellness and how to better support their peers. Organizers aimed to provide the community with information and resources to identify when someone needs help. 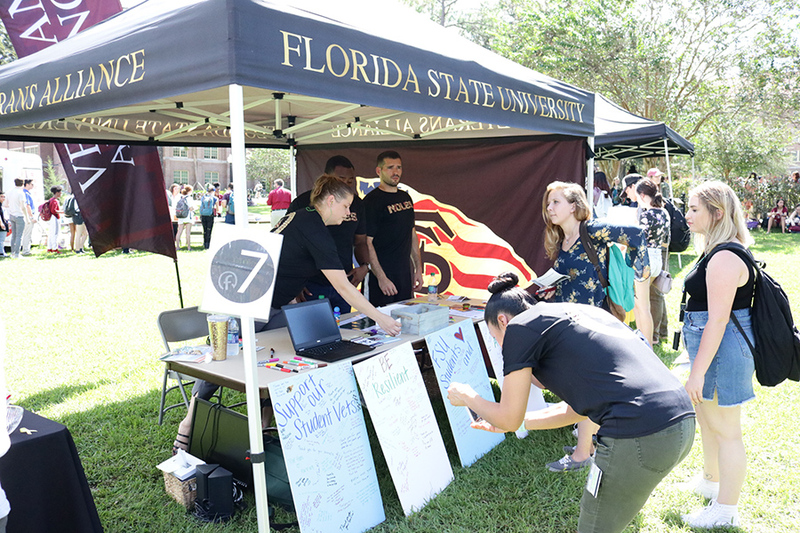 “Learning about the warning signs for suicide prevention and reaching out to those who you recognize are in crisis can save a life,” said Sue Shapiro, Noles C.A.R.E. Coordinator and licensed psychologist at the University Counseling Center. Students enjoyed a live DJ, food and prizes as they travelled to each organization’s table. A passport was provided and individuals received stamps from booths as they learned about the resources available. At some tables, students were encouraged to reflect on their own mental health, like at the National Alliance on Mental Illness (NAMI) table. At the Veterans Student Union table, student-veterans were recognized and individuals learned how to prioritize mental health. Speakers shared their personal experiences, and students learned about the 9/10 campaign, which encourages individuals to identify warning signs and be one of the nine people to help the 10th who is struggling with mental illness. 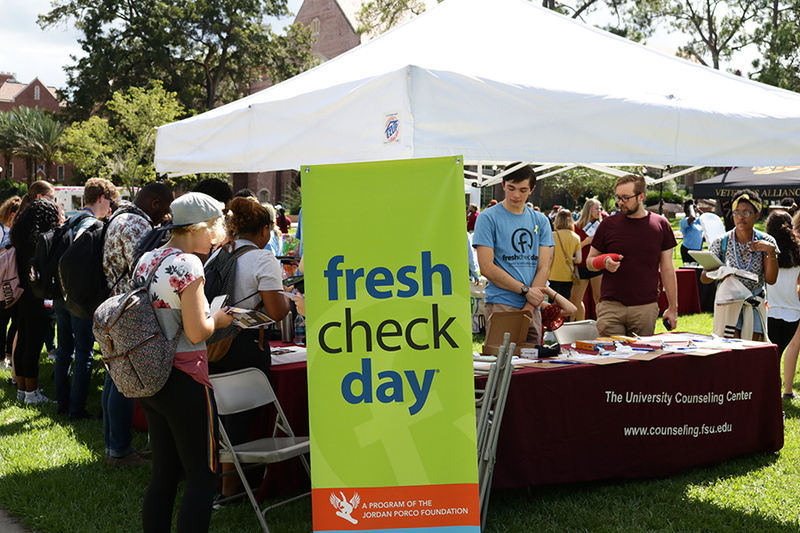 Fresh Check Day brought to light issues that can be difficult to discuss and encouraged students to check on their own well-being with the help of campus resources. Created by The Jordan Porco Foundation, the free event was organized by the FSU Counseling Center and the FSU Peer Educator Program, RENEW, in collaboration with other FSU departments, student volunteers and representatives of The Jordan Porco Foundation. For more information about the FSU Counseling Center, visit counseling.fsu.edu.